2009 tech predictions revisited: how did we do? 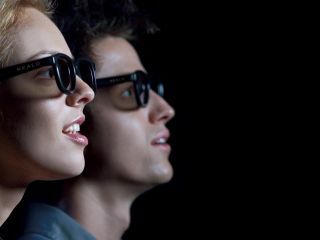 3D is here in cinemas, but what about the home? After decorating the tree and cooking the sprouts, the favourite task of every TechRadar staffer this time each year is to make their predictions for the year after. But first comes the slightly more uncomfortable bit – looking back at the predictions for 2009 that we made this time last year. So let's see what gold we predicted – and what myrrh we didn't. If there was one thing that really blew up this year, it was the smartphone market. "I'm hoping to see a real fight in the mobile phone space to deliver what mobile phone users actually want," wrote TechRadar's Mobile Specialist Gareth Beavis a year ago, predicting that Android would really take the fight to Apple, though it's been more steady rather than explosive growth. "Nokia has been decidedly lacklustre in the touchscreen market," said Gareth. "The N97 will hopefully be the precursor to the proper iPhone beater, and the INQ1 Facebook phone should set a decent precedent for what low-end phone functionality should be about." Nokia's N900 has finally appeared and while it isn't quite an iPhone killer, it's certainly shows Nokia is finally heading in the right direction. TechRadar's Editor (Features) Paul Douglas correctly predicted that the Windows 7 beta would appear at last year's CES. But he was slightly off with his prediction of when Windows 7 would finally appear - 30 January 2010, exactly three years to the day from the launch of Vista. To be fair, he wasn't alone in his prediction which was backed up by Deputy Editor Dan Grabham who thought that the next version of Office would also be out on the same day. Office 2010 hasn't yet hit, though we took a decent look at it earlier this year.